The Heritage Weekend organised by Ballymote Heritage Group will this year, as usual, provide a comprehensive programme of lectures of a cultural and historical nature by experts acknowledged nationally, and will organise a series of history tours over the August Bank Holiday weekend. 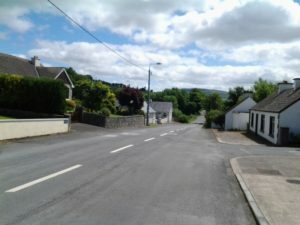 A unique feature of the 2017 programme will be the publication of the 50th issue or edition of the Ballymote Group’s journal, the Corran Herald. To mark the occasion the editorial committee will allot prizes for (A): the best article, (B): the best article by a new writer and (C): the best article by a second level student. The Corran Herald was first launched in October 1985. The Herald was the brainchild of the late Una Preston. Keenan Johnson Jr. proposed its title and the late James Flanagan who was its distinguished first editor until 2012. Stephen Flanagan has filled the editorial role since 2012 and has maintained and enhanced the high standards set by his father. The 50th Issue of the Corran Herald will be on sale during the week prior to the Heritage Weekend at €8 per copy. The lectures on Friday 4th, Saturday 5th, Sunday 6th and Monday 7th August will be delivered in the Teagasc Centre. This lectures venue can be located immediately on the right hand side just over the railway bridge on the Tubbercurry Road. All four lectures will commence at 8.30 p.m.
Dr. Patrick Wallace, former Director of the National Museum of Ireland, will officially open the Heritage Weekend on Friday 4th August and he will then impart his knowledge derived from his immense experience of work in the Museum. The title of Dr. Wallace’s lecture is ‘The Museum, Past, Present and Future’. Dr. Wallace led the National Museum of Ireland team on the Viking Wood Quay project between 1974 and 1981. In that year he became Director of the National Museum, a position he held for 24 years. Under Dr.Wallace’s guidance the National Museum developed its new museums at Collins Barracks and Turlough Park, Co. Mayo. On Saturday 5th August at 9.00 a.m. our first outing of the weekend will bring our intrepid group of history tourists to Fenagh Abbey, St. Catherine’s Church of Ireland Church, Fenagh, Co. Leitrim, and to the recently reconstructed St. Mel’s Cathedral, Longford. Our guide will be Frank Tivnan, the Boyle historian. Frank will direct our group through the ecclesiastical site that was founded by St. Caillin in the 6th Century. The now ruined abbey that we will visit was constructed on the same site in the 15th century. 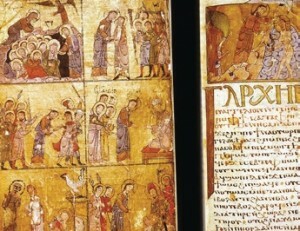 The Book of Fenagh was completed in the monastery in 1516. After Fenagh our next port of call will be St. Mel’s Cathedral in Longford. The cathedral was built between 1840 and 1856. On Christmas Day 2009 the cathedral was destroyed by fire in the early hours of the morning. 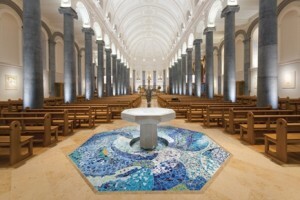 The restored Cathedral reopened in December 2014. Frank Tivnan will also be our guide in Longford. Lunch will be included in the itinerary. All inclusive coach tickets for Saturday’s tour will be on sale at €30 in Casey’s Pharmacy, Teeling St., Ballymote (0719183370) or at the Friday night lecture in the Teagasc Centre. 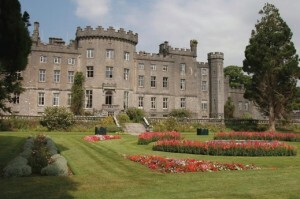 Saturday evening’s lecture is entitled ‘Re-imagining the Classical House as a Gothic Castle: Francis Johnson at Markree Castle in the Early Nineteenth Century’. 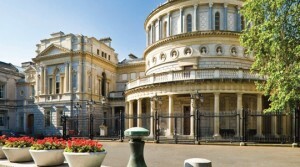 A distinguished member of the Irish Georgian Society, Limerick based Dr. Judith Hill, Architectural and Art Historian will be the lecturer. Dr. Hill has provided Heritage Consultancy for a vast array of projects, including the Management Plan for Kilkenny Castle, Limerick Urban Centre Revitalisation, a Conservation Plan for King John’s Castle, Limerick, Dromoland Castle Hotel and a host of other conservation projects. Our eminently qualified academic and consultant will evaluate the work of Francis Johnston, the 19th century architect who designed and supervised the construction of Markree Castle. 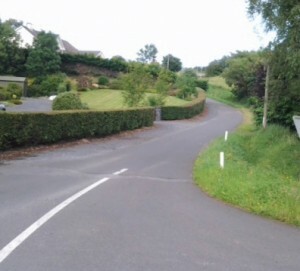 Sunday’s tour (6th August) will commence at 2.00 p.m. with Collooney as our destination. Peter Bowen-Walsh, the eminent railway historian, will enlighten us on site, concerning the significance of the three railway stations at Collooney and the history of the Collooney-Enniskillen Junction, the Collooney-Claremorris Junction and the Dublin-Sligo line. 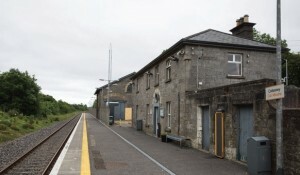 The 19th century expansion of the rail network in Ireland’s north-west is reminiscent of the railway development in the western frontier of the U.S. that was proceeding at the same time. No doubt Peter’s presentation of the advent of our railways will be a dramatic and exciting historical narrative. 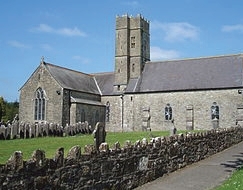 Martin A. and Mary B. Timoney will demonstrate the unique features of the Churches of Collooney, a number of significant archaeological and geological sites at Rathdooneybeg, Carnareee and in the Ox Mountains. Our touring party will benefit immensely from Martin’s and Mary’s deep and abiding interest in our local archaeology and in the ecclesiastical architecture and art of our nearest urban neighbour. The monument and grave of Archdeacon O’Rorke and the Sergio Benedetti (Roscommon) mosaics in the Church of the Assumption in Collooney are indeed impressive. The priestly carving on the gatepost of the R.C. Church car park will be discussed. 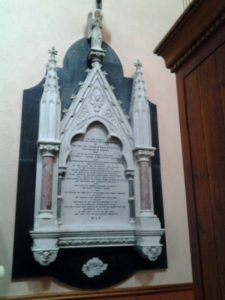 We will note the work of Collooney born architect, Sir John Benson, who directed the construction of Collooney Catholic Church and the renovations in St. Paul’s Church of Ireland, Collooney. A visit will be made to the home of Collooney born physicist, William Higgins, who first perceived the Atomic Periodic Table. Three hours will be the duration of this relatively local tour. Coach tickets at €12 may be purchased at the usual venues i.e. Casey’s Pharmacy or at any previous lecture. There will be no lunch during the Collooney tour. Alf Monaghan will be the lecturer for Sunday evening’s discussion. This lecture is ‘Monastic Ireland – A Gift of the Nile’. 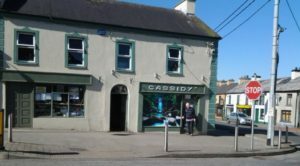 Castlebar born Mr. Monaghan grew up in Enniscrone and now resides in Carrick-on-Shannon. Alf spent ten years in Syria, Turkey, Lebanon, Jordan and Egypt as a business advisor to five Middle East governments. His lingering in this region sparked off a deep interest in early Christianity and the links and influences between this area and Ireland, many of which are now lost or forgotten. Our 9.00 a.m. outing on Bank Holiday Monday 7th August, will bring us to Belvedere House and Gardens, Mullingar and to the Church in Multyfarnham Friary. Belvedere House was built in 1740 for Robert Rochfort and was designed by the famous architect Richard Cassels. The story of the Follies, especially the Jealous Wall and the accounts of stormy romantic relationships are more dramatic than anything found in novels. The Walled Garden, the Fairy garden, the Woodland Walks and the Lake Shore are visual delights waiting to be savoured. On the return journey Ballymote our coach will visit the Church in Multyfarnham Friary for about half an hour. Fr. Loman McCoy OFM will outline the story of the Abbey church that was originally built in 1270 by William Delamer. Combating suppression, the church and the friars experienced many turbulent years but the order continued to minister in the locality through penal times. 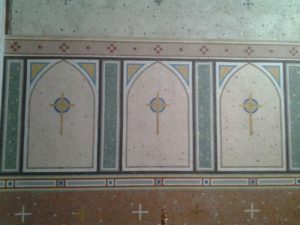 The church was partially restored in 1827 and was finally modernised with some medieval features between 1973 and 1975. Peace abides beneath its arches. Lunch will again be included in the itinerary. All inclusive coach tickets for Monday’s tour at €35 can be purchased in the usual venues, Casey’s Pharmacy or at any previous lecture in the Teagasc Centre. Monday’s 8.30 p.m. lecture will be the work of Sam Moore, Archaeologist. Surely the people of the Barony of Corran will derive bewildering benefit from Sam’s research of the subject ‘Ancient Pathways: The Bealach Buidhe, the Red Earl’s Road and Bóthar an Chorainn in Counties Sligo and Roscommon’. The significance of Bóthar an Chorainn and the Red Earl’s Road, respectively west and east of Keash Hill, for the development and indeed the very existence of the settlement of Ballymote, will be outlined by Mr. Moore, who will demonstrate, townland by townland, the alignments of the two medieval roads that linked Boyle and Ballymote. These two routes have greatly impacted on the lives of the people of Corran during the last two millennia. It will be fascinating to come to realise that many of the roads we daily use were equally important to generations of our ancient ancestors who are now consigned to the mists of time. Entry to lectures at the Teagasc Centre will be €10. Coaches for the outings depart from the Catholic Church car park. For further information please contact 087 4169557.